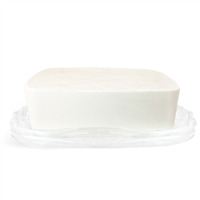 Our Premium Shea Butter Melt and Pour Soap Base is opaque and white in color. It contains Shea butter, which is thought to benefit dry skin. The twenty-four pound big block is ideal for larger projects, as it will make (96) 4 oz. bars of soap. Soap comes in a blue bag with twist tie and corrugate box. A single block measures 13 x 11.5 x 6 inches. We do not recommend adding soapmaking oils & butters to mp soap as they will significantly decrease your lather. Block of soap measures 13 x 11.5 x 6 inches. Sorbitol, Propylene Glycol, Sodium Laureth Sulfate, Stearic Acid, Myristic Acid, Water, Sodium Hydroxide, Lauric Acid, Shea Butter, Titanium Dioxide. COMMENTS: This is my most popular base. Everyone loves how moisturizing it is. Lathers up beautifully. When adding any colors, it's very true to the color. Holds the scents very well. It's a softer finished product which is great for wipe bits. "My favorite soap base by far!" COMMENTS: creaminess of the after product! 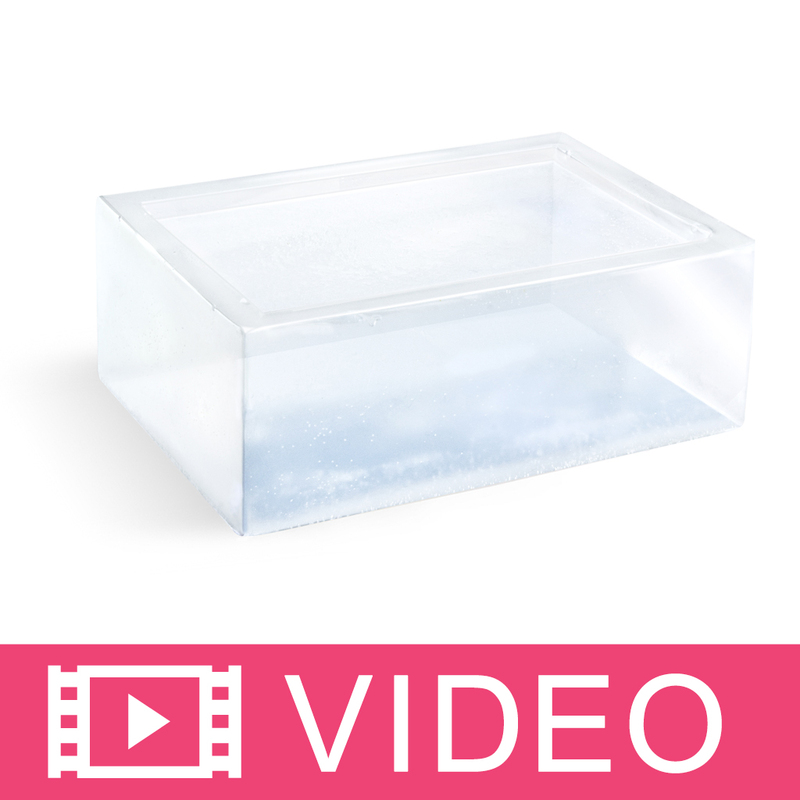 This is a great base to get a really nice moisturizing soap. Love it and never a complaint from my customers! COMMENTS: We love using this soap base. We get a lot of compliments when we use it. COMMENTS: Love this soap base! "Used for the first time and it worked great!" COMMENTS: My first time using, and loved it. Used to make lavender soap, and it smelled and felt wonderful. Used it in a sugar scrub too, and my customers loved it. COMMENTS: I used this to make bar soap to give to my family and friends. It is really easy to work with and it lathers up really nice in the shower. Everyone has said that they love it. I will be buying more for the future. "My favorite soap base so far!" COMMENTS: Easy to use, sets up beautifully and works well with my additives. COMMENTS: Great melt and pour soap! Always a great quality! 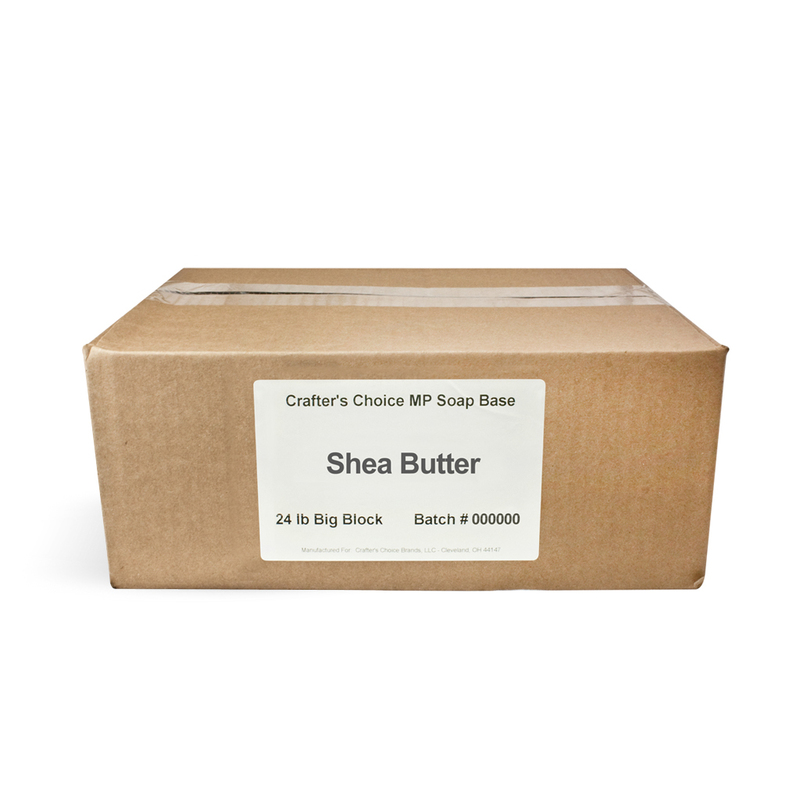 "Premium Shea Butter MP Soap Base"
COMMENTS: Customers love this formula very conditioning easy to add fragrance and additives. If your looking for a wonderful melt & pour Premium Shea Butter is a winner! "excellent moisturizing ingredient for mp soaps"
"My Customers LOVE This Base"
COMMENTS: This is my go-to base for all of my moisturizing soaps. It leaves my skin soft, and doesn't sweat - altogether a great soap base. COMMENTS: Love to lather this one up. Customers like the look....slightly translucent. Super silky. COMMENTS: I love the shea! I buy the 24lb and cut it up. It is just a wonderful base. COMMENTS: Excellent lather, leaves skin feeling soft and clean. COMMENTS: Customers loved the feel of this soap! Left them very moisturized. COMMENTS: This is a good quality product. The soap has a smooth feel and creates some lather. It holds some fragrances better than others, but that is more due to the type of fragrance than anything. I would definitely buy this soap again. COMMENTS: I absolutely love this shea butter it works well with all fragrances and colors!! I also love how much suds I get from this! Will definitely be making more!! COMMENTS: Love the Shea butter mp soap base. Easy to use. Love the way it feels. COMMENTS: I love this soap base! 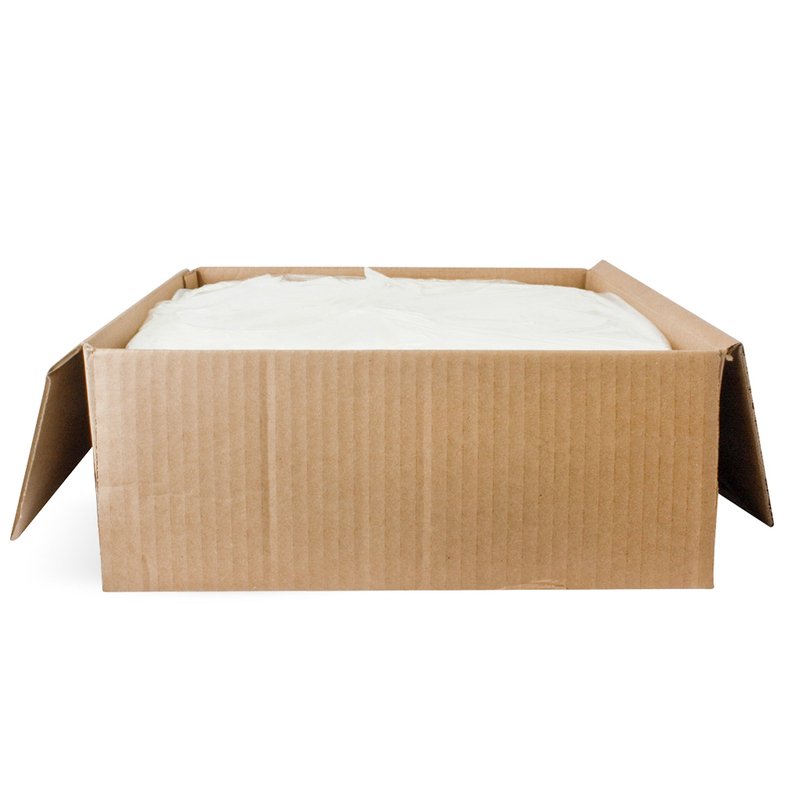 It is the perfect canvas for all melt and pour creation! A great quality! COMMENTS: I love the lather and how silky the soap makes your skin feel! I use this base for more "upscale" soaps. COMMENTS: I always order a 24 pound block to have on stand-by. It lathers, holds scent and colors well. Just cut off what I need. COMMENTS: A bit soft which makes it extra-luxurious (very silk) and bubbly. The detergent-free version is a bit stingier with the bubbles so use this one if you want the most bubbles. COMMENTS: I am so happy with this base! The lather is creamier and produces more bubbles than the previous shea butter base I was purchasing from a craft supply retail store, not to mention way more cost effective. The soap left a softer feel to the skin and did't leave any sticky type feel on the skin. 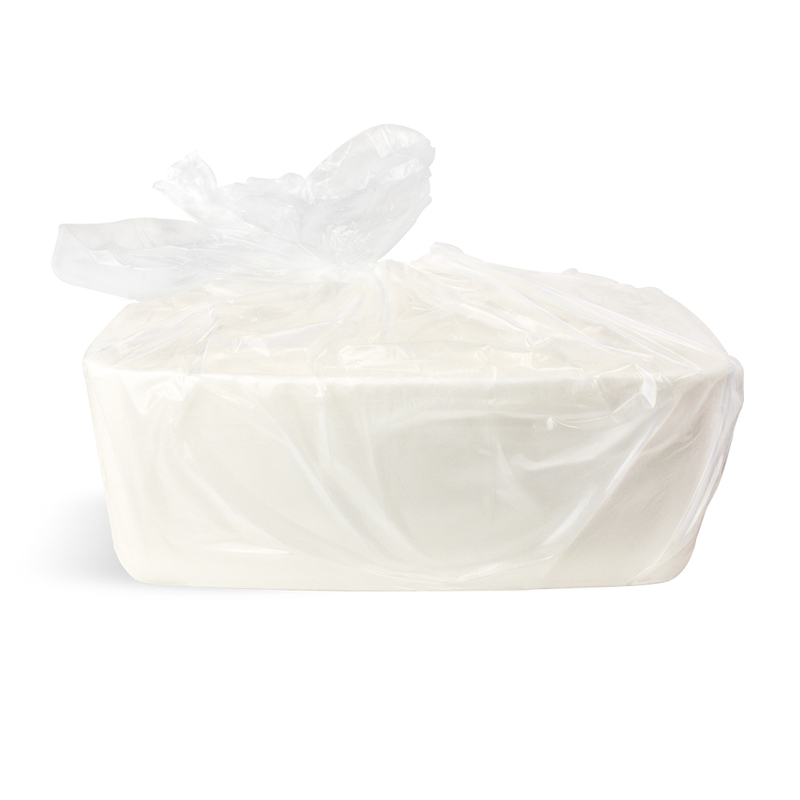 This will be my go-to base for my shea butter M&P soaps. COMMENTS: I bought this as my daughter in law has very sensitive skin so I thought I would try it for her. She usually has to buy the very expensive soaps as she breaks out from just regular soap. She tried the first bar and had to call me and tell me how amazing this soap was and she wanted more. This is the only soap she will use now. I don't add any scents or colors, just use it like it is. She is very happy with just plain old squares of soap made from it. Nothing fancy. COMMENTS: I use this product for myself and my customers love it. They can't get enough. They say it has a wonderful creamy lather and it helps their dry skin. Customers also say that it lasts a long time unlike some other handmade soap they've used. COMMENTS: This Shea Butter formulation is my workhorse soap. It does not sweat at all except for very humid environments, and is stable both in the case it arrives in and in completed bars. It is easy to work with and cost effective. COMMENTS: I've used this base for years after trying out many other brands. I specifically like this one because it performs great, takes color beautifully, takes fragrance wonderfully, and is low-odor and low-sweat. It is much more low-sweat than the "low-sweat" bases. The ingredients list may deter some customers, but overall I honestly think the only people who care as much about the ingredients are other soapers or customers who have been misinformed about ingredients. This will still sell and is great stuff so don't let the ingredient list deter you! At least get the 2lb sampler before you decide. The block size is bulky and harder to cut pieces off of, but with a good sharp cutter and some practice it gets easier. I bought a 24" cheese slicing wire and it pulls through the block pretty easily and I can get my husband to hold it while I slice it into "logs". From there it's easier to cut off what I need. Highly recommended soap base! • Hold scent really well. • The block is harder to handle. "Is this plant-based glycerin? I want to make my soaps "animal product free"!" Staff Answer Yes, all our soap bases contain vegetable based glycerin. Thank you for asking. "Why do I get these sugar like crystals on the surface of my soaps after they sit for a little while, even in an air tight container! What can I do to keep it from happening! " Glycerin is a humectant meaning it draws in moisture, which is one of the reasons why we love it! Humidity in the air can cause the crystals. Store your soap in a low humidity for best results. Keep away from blowing air conditioners too. Finally, when melt and pour soap is overheated it can have undesirable effects. Make sure you are not overheating the soap when making it. "Why do bars of soap sweat in humid weather, or even in the soap room with the AC on and the dehumidifier off but AFTER you use a bar of soap to wash it stays nice and dry? Thank you!" Because of the high amounts of glycerin in soap, it attracts water. 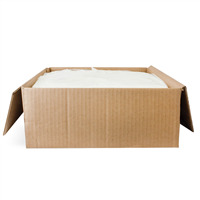 Wrap your soaps immediately after taking them out of the molds. Sweating in soap is a sign of high-quality however, sweating can cause the oils in the soap to go rancid faster than normal. "Is this a good suspension soap? I want to add herbs, but am not sure if this formula is suspending?" Staff Answer Good question! Our Suspension Soap Base should be used for suspending herbs/beads etc.. through your soap. If you only use the Shea Butter Soap Base, the herbs will sink to the bottom and only be on one part of your soap. Just a thought, you may want to test out having maybe half Shea Butter Soap Base and half Suspension Soap Base to your recipe, and see if that works for you.